Oily, dry, dehydrated, sensitive and acne-prone skin just got a new best skincare friend. 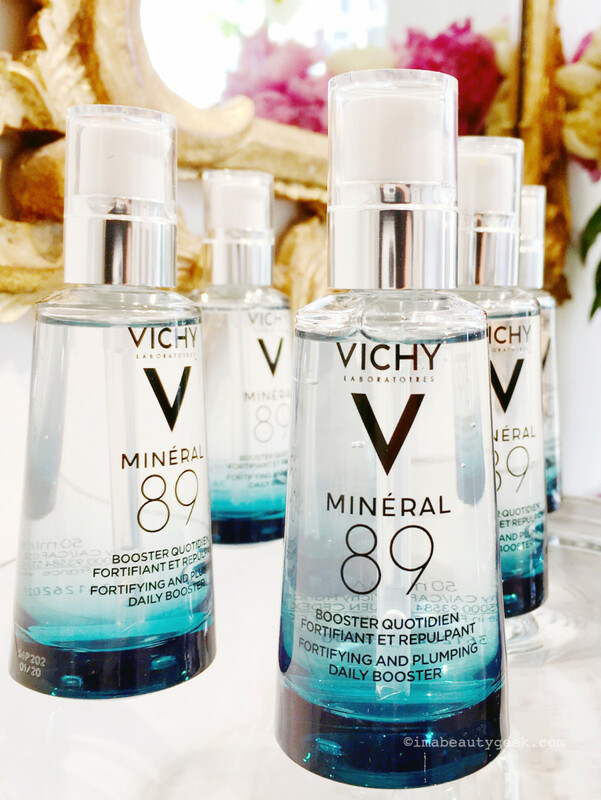 Vichy Mineral 89 Fortifying and Plumping Daily Daily Booster is basically thermal water + glycerin + hyaluronic acid + gelling agent, and it may be my new favourite skincare component. I&apos;m all about hydration – water – for my oily, sometimes-sensitive, dehydrated skin. 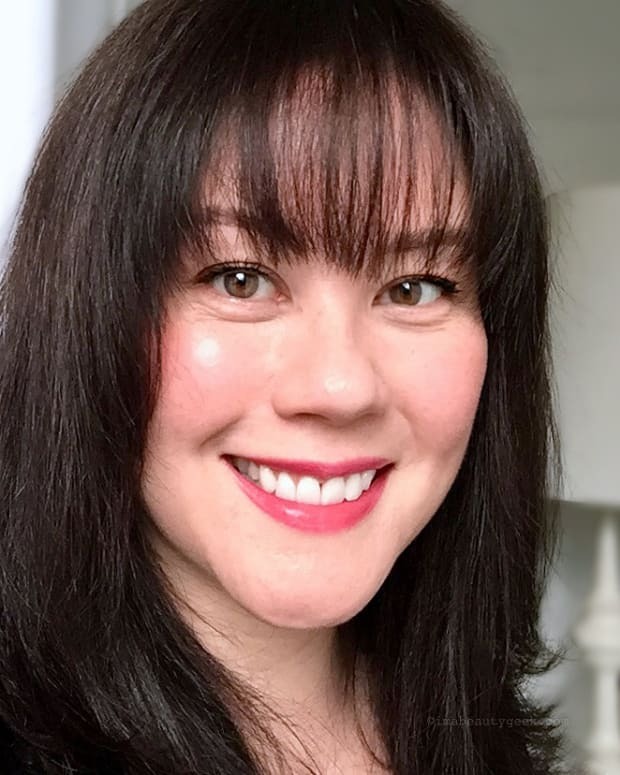 When my complexion&apos;s holding onto enough water, my skin is balanced, even-toned and radiant, without any trace of redness on my cheeks or chin. To get enough hydration – water – into my skin, I&apos;m liberal with thermal water sprays, and hyaluronic acid and glycerin essences and serums before I top all that with a moisturizer to lock it into my stratum corneum. One of my go-to thermal-water sprays, of course, is Vichy Mineralizing Thermal Water, which boasts 15 good-for-skin trace minerals, including potassium, calcium, magnesium, sodium and iron. After cleansing with a micellar solution, I drench my face in thermal water, wait a minute and gently wipe it away to remove any trace of cleanser left on my skin. Another misting, patted into skin, becomes the first step of my hydration ritual of essence, serums and moisturizer. 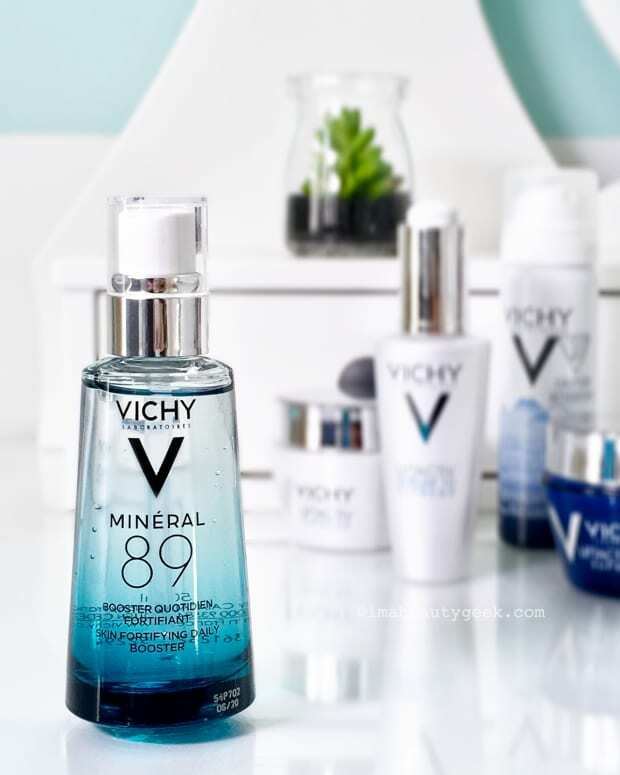 New Vichy Mineral 89 is an even better way to start that ritual – it really is basically a gelified version of Vichy Mineralizing Thermal Water (it&apos;s 89% of the formula) plus glycerin and hyaluronic acid. One pump liquifies into water as you smooth it on, and sinks in rapidly to kick up skin&apos;s hydration level and leave it feeling fresh, plumped up and clean, ready for your next skincare steps: essence, serum, moisturizer, SPF. Vichy Mineral 89 is has only 11 ingredients, is colourant and fragrance-free – *jumpy claps* – and is suitable for sensitive and problem skin. Acne sufferers may find it helpful as a soothing first step that helps balance the dryness that results from anti-blemish topicals. And if you&apos;re dealing with rosacea, you may find that adding this water gel to your routine results in reduced redness and irritation. Guys will like it too; you may need to get your man his own bottle. In fact, everyone needs this stuff. Well hydrated skin = a healthy moisture barrier, which means a healthier, stronger complexion. Can you tell I&apos;m already in love? 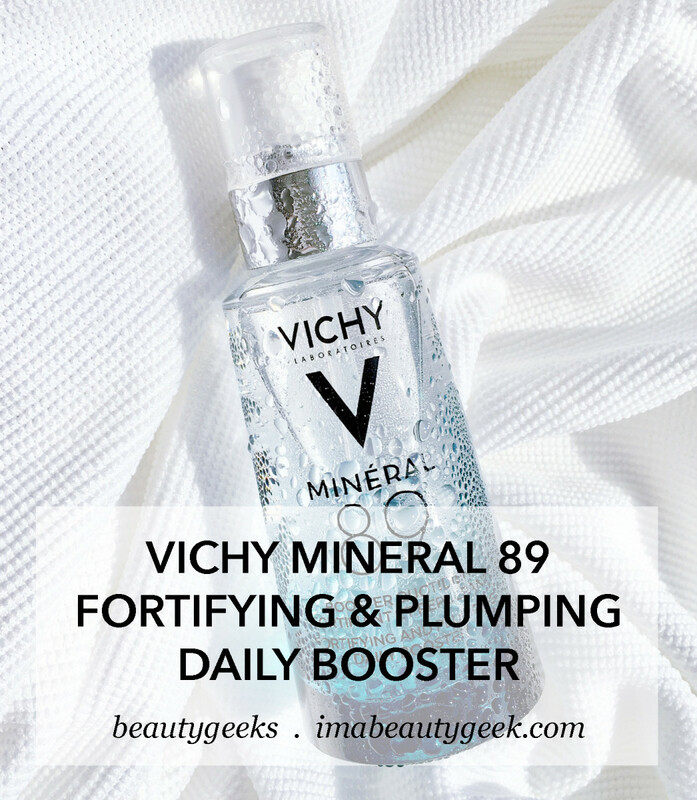 Vichy Mineral 89 Fortifying and Plumping Daily Booster ($39 CAD at vichy.ca and $29.50 USD at ulta.com) launched just last week; have you tried it yet?